Following in the footsteps of David Cameron, Leeds City Region is heading to China in the most ambitious investment mission of its kind to promote the UK’s second largest economy and population centre. The mission’s objective is to bring new Chinese investment to the region and raise the profile of the economic opportunities Leeds provides, which employs over 1.3 million people and accounts for four per cent of national GDP. Led by Leeds and Partners and sponsored by British Airways, the delegation of businesses and universities will be supported by the Northern Ballet, UKTI, China Britain Business Council, Leeds City Region LEP, and the Lord Mayor of Leeds. “This mission is the start of a long-term relationship building programme to form enduring, profitable and mutually beneficial economic relationships between Leeds City Region and Chinese investors. The mission will increase awareness throughout China of Leeds’ unrivalled and world-class skills in financial and professional services, and its status as a hub of expertise in these sectors. “Financial and professional services account for one in ten jobs in the region and add over £7bn to the UK’s annual income. The strength of Leeds’ financial and professional services underpins the city’s wider priority sectors. Leeds City Region enjoys thriving industries in health and innovation, digital and information, manufacturing and tourism and boasts nine outstanding higher education institutions. The intensive programme will include investor events in Hong Kong, Xiamen, Guangzhou, Hangzhou, Shanghai and Beijing that will run alongside a series of performances from the Northern Ballet. 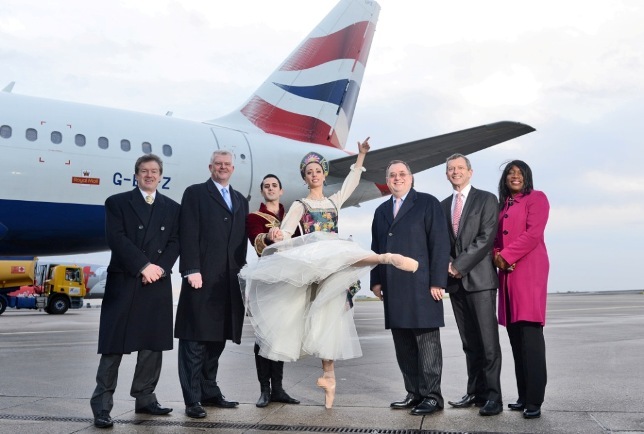 “Northern Ballet is a passionate cultural ambassador for the city of Leeds and the UK. One of the long-term strategic goals of the mission will be realised through the creation of a China Business Club, to be launched at the International Festival for Business in June 2014. The Club will be instrumental in sustaining the relationships forged and securing the long-term economic competitiveness of the Leeds City Region.